From run-away teen to Marian priest - Fr. 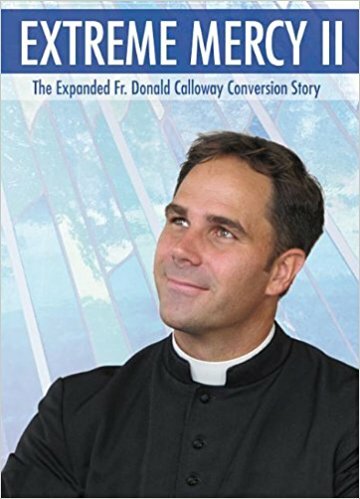 Donald Calloway, MIC, has inspired thousands of people around the world with his amazing conversion story, which he tells with an unmistakable zeal for the priesthood and devotion to Our Lady. This new documentary combines Fr. Donald's incredible witness to God's mercy presented to a live audience at the National Shrine of The Divine Mercy in Stockbridge, MA, with in-depth, personal interviews in which he covers important aspects of his life and faith. Discover why Divine Mercy is for all of us at all times, especially in the most difficult situations. View this dynamic Marian priest as he shares in riveting detail his exceptional conversion, covering these and many other topics: struggling with hate, exploring the reality of heaven and hell, a first encounter with Mary, experiencing the Real Presence in the tabernacle, and divine detox.